The ideal room for a couple. 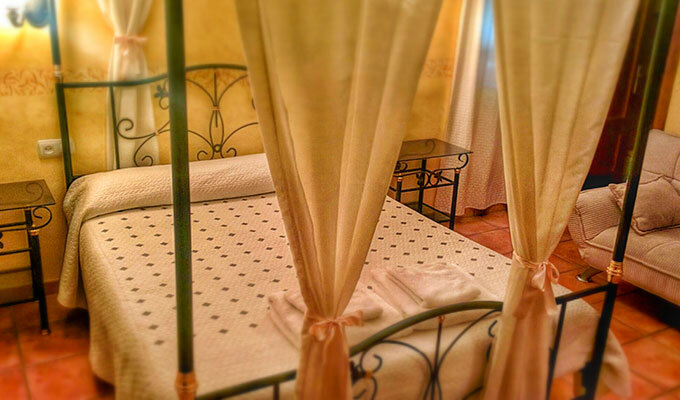 A comfortable double bed (some with canopy) and the possibility of adding a single for an extra guest. 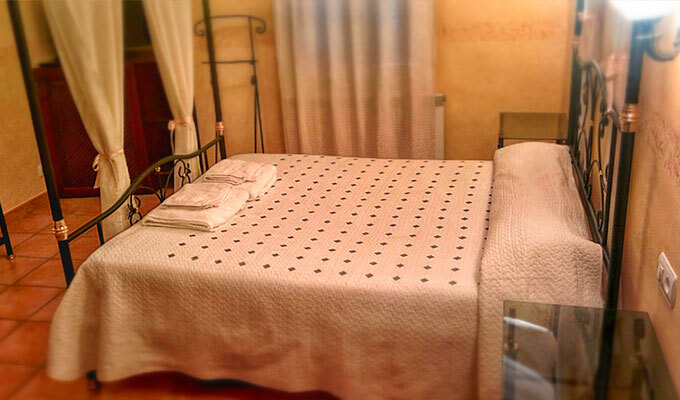 Bright rooms, with ensuite bathroom and all the services of a good quality Hotel, but at a much cheaper price. 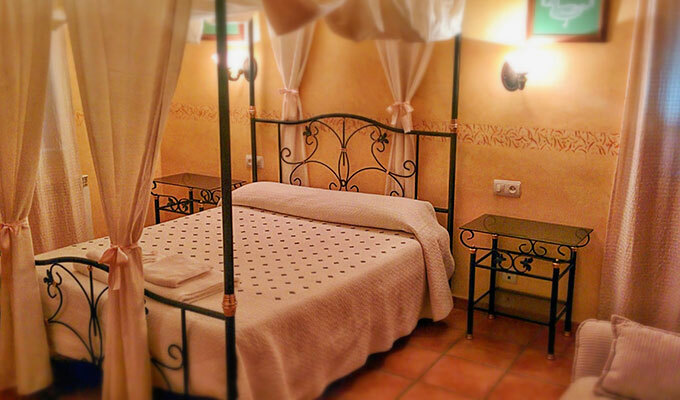 If you are a couple, enjoy a romantic stay in the heart of the Sierra de Gata. The price (except for Easter week and the month of August) includes breakfast for the guests which is served in the Bar.